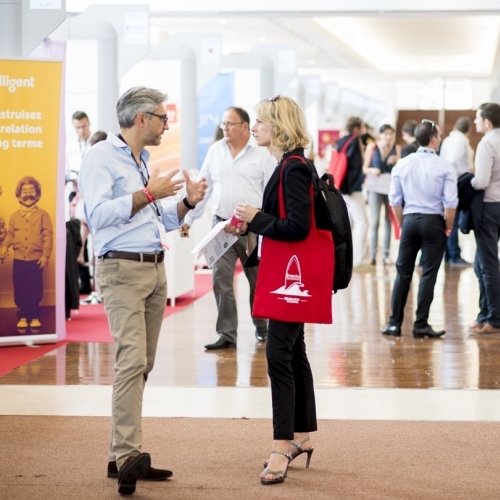 One to One Biarritz is the latest business meetings event introduced by Comexposium. This format is already applied to other of its events which enjoy resounding success. "Very good moments of conviviality and relevance passed at One to One Biarritz, can't wait for the 2018 edition! Thanks to all the active team on the preparation and organization of this beautiful event." "A very rewarding appointment that becomes a must in the digital marketing world. Both conferences and one-to-one meetings are particularly qualitative, all in a relaxed atmosphere worthy of the Basque coast. Congratulations for this beautiful organization !" "A business event essential to feed its digital thinking and data, meet quality companies, start-ups, all in a context and context favorable to exchange and sharing." "Thank you for this new edition which was very good and inspiring with the presence of partners of qualities !" "Very good edition, more and more oriented data and innovations. A very good vintage!" "My first participation in this event was very enriching and inspiring. A very qualitative summit, nourished by beautiful meetings and exchanges that allow, thanks to the myriad of universes and actors represented, to think 'out of the box' and transpose some best practices ..."
"There are a lot of events positioned on Digital today, but the 1to1 Biarritz is well ahead of the crowd thanks to the quality of speakers, guests and of course its organization. A good reference. I valid !" "A rich, intense and inspiring parenthesis for privileged exchanges with advertisers or peers. Congratulations to the organizers for the quality of the event"
"Beautiful inspirations around the Consumer commitment and testimonials / solutions full of agility." "Very nice event with speakers of high quality and a great opportunity to update digital marketing innovations in less than 48 hours !"